Atlanta, the new Donald Glover fronted show that airs Tuesdays on FX, is a dark comedy that gives a bleak view young black adults in the titular city. But a show centering the tragedies of blackness as punchlines isn’t for everybody. I’ve been conflicted about Donald Glover’s new TV show Atlanta since before it even aired. The show tells the story of two cousins trying to make something of themselves within Atlanta’s music industry in order to better their lives and the lives of their families. Donald Glover plays Earn Marks, a young man who doesn’t have any official place he can call home scrapes money together from low paying jobs. Brian Tyree Henry plays his cousin “Paper Boi”, who is experiencing a dash of fame after the release of his most recent mixtape. Marks sees this as an opportunity for him to manage his cousin’s career and lead them both to a successful life. It’s their lives, from the fight to be taken seriously to the outrageous obstacles they are forced to live with, that makes the show an anomaly on television. But based on Glover’s track record, there was no realistic expectation anyone could make about what form the show would take. I couldn’t exactly say I was a fan of any of his work outside of Community, but the show had already been lauded by critics for its dark humor and portrayal of Atlanta. One way or another, I knew that I had to watch the show for myself to see if it was worthy of all the hype. That’s not to say I didn’t understand the intent. Atlanta takes a stark look at what being black in “The A” can be like, and asks us to laugh at how ludicrous it can get. The show is unique in its conception, opting to show black folk in Atlanta who are doing whatever they can to survive instead of a more glamorous or gaudy lifestyle. And to be honest, I can’t remember ever seeing a dark comedy about black life. That’s for a reason. I don’t believe anyone has been brazen enough to illicit laughs from a scene where a black man with mental health needs is perpetually arrested and then brutalized by police while in their custody. Or from people answering the door with a weapon in hand just in case. Or the fact that rappers gain credibility once they have been involved in violent crime. 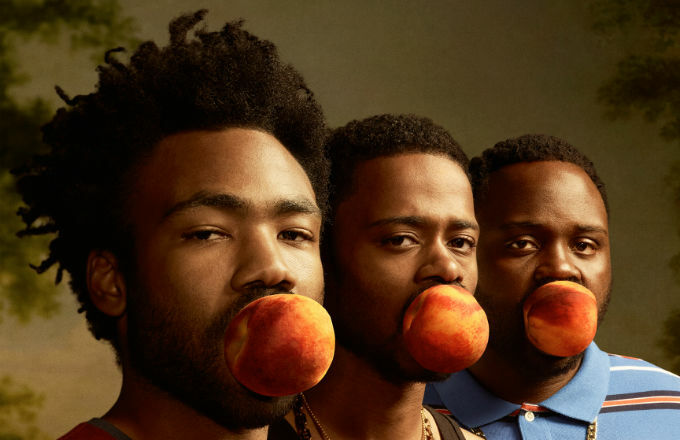 But Atlanta does this unapologetically, and I believe the show has largely gone uncriticized on this point because it comes from Glover and an all-black writers’ room he pulled together. This inevitably bore out important distinctions in the final product, but just that fact that these steps were taken gave the show credibility to do things that haven’t been done before. It’s a FUBU show, for us and by us, and that’s important. There is truth to all of the tragedies the show depicts, and Atlanta endeavors to find the humor in them. But for me, a black kid that has always been middle class or higher, these “tragically humorous situations” only felt, well, tragic. As I watched the show, I couldn’t help but reflect on all of the positive reviews I’d read from white critics. Instead of seeing Atlanta as a show that uniquely speaks to certain parts of the black experience, I saw it as another opportunity for white people to voyeuristically take joy in our pain. Was that the point? Or was that just an unfortunate byproduct or larger exposure? I’ve been wrestling with those questions, even though I know there is no method for us to deduce Glover’s intent. Then I realized that even taking this critical of an eye to this show that so many in the black community have praised for accurately depicting their lives, I wasn’t being fair. White people have been telling their stories through whatever means they’ve seen fit since forever, and dark comedies have been a notable part of their creative expression. Along those same lines, white people never have to feel like every depiction of a white person is representative of them. Now that we are finally seeing a spectrum of black humanity in entertainment, I can’t balk at every expression that I don’t personally see as flattering. Why should white people be the only ones to make fun of themselves? When their hardships and losses are mined for laughs, I never bat an eye, so why can’t black people laugh at the everyday struggles we face? We already do that in our private lives. Giving those interactions a grander platform is the next step. It is meaningful and powerful for anyone to see themselves represented. And just like we go hard for the times black women are in positions of power or black men are anything other than felons or addicts, I should be in full support of a show that realistically portrays up-and-coming rappers and black men that have everything stacked against them and continually come up short.